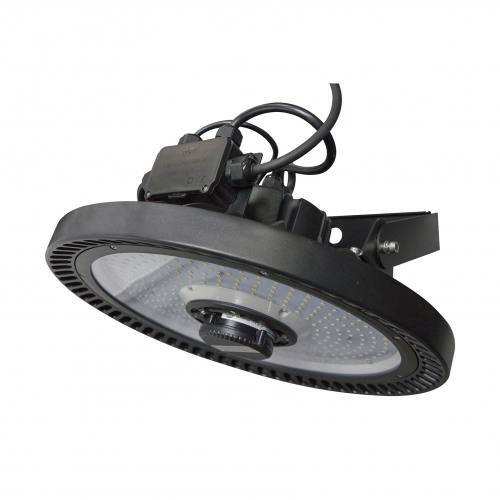 The 20-LEDHBRSN is a premium round LED high bay luminaire. 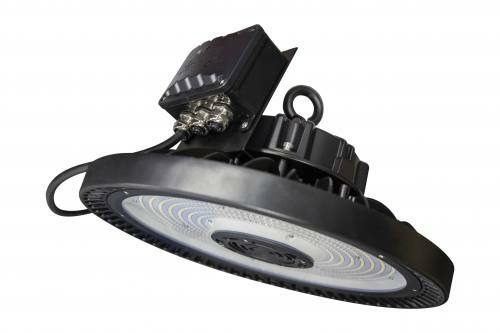 It is designed to illuminate a wide variety of settings including commercial, industrial & retail settings such as warehouses, manufacturing plants, sporting venues and big-box retailers. With a die cast aluminum housing and clear glass lens, the 20-LEDHBRSN provides durability and high performance. 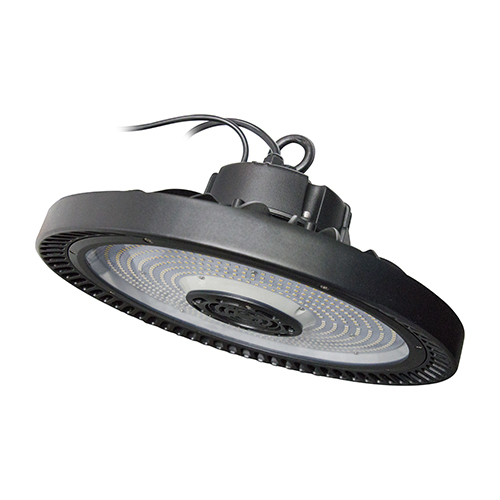 High-efficacy, long-life LEDs provide both energy and maintenance cost savings compared to traditional , HID High Bays. ▪ Suspension from pre-installed mounting hook (cast iron M10 eyebolt) with locking set screw is standard. 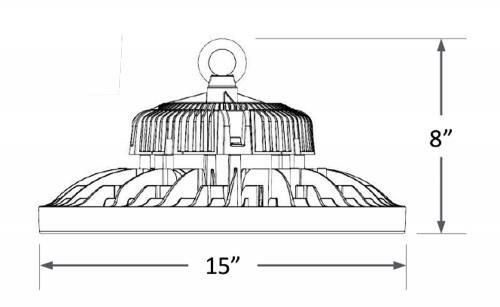 ▪ Ceiling-mounted installation (using optional yoke mounting bracket, LEDHBRSN-YOKE-PRM) provides up to 100°of adjustability. ▪ Attach conduit (½" NPS) to optional yoke mounting bracket (LEDHBRSN-YOKE-PRM).